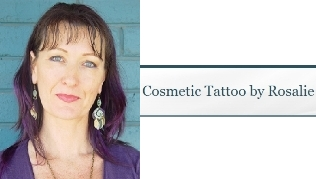 Situated in Balmain, Sydney, NSW, Rosalie is a Cosmetic Tattoo Specialist offering high-quality, long lasting Cosmetic Tattoo, Para-Medical Tattoo and small body tattoo treatments. Your protection and comfort is my priority. All my Cosmetic Tattoo procedures are performed in high level hygienic conditions with client safety and protection as a priority. New sterile single–use disposable needle and parts are used for every client. The needles and parts come in individual sterile packs. No parts are re-used, and are disposed of after each treatment into a Sharps container. 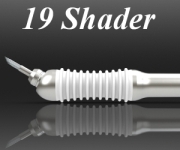 New pigment is dispensed for each client, and any unused pigment is discarded at the end of the treatment. CT-AIVEP is recognised for providing excellence in training standards and techniques offering the potential for higher quality services and superior outcomes. Please enter the text you see in the image at the left into the textbox. Be patient and wait for a few seconds - ONLY CLICK SEND ONCE!